The Streamlight Protac HL 4 is a 2,200 lumen handheld flashlight with a wide beam pattern to illuminate the entire surrounding area. Features Ten-Tap Programming which allows the choice of three operating modes: 1. high/strobe/low, 2. high only, 3. low/medium/high. 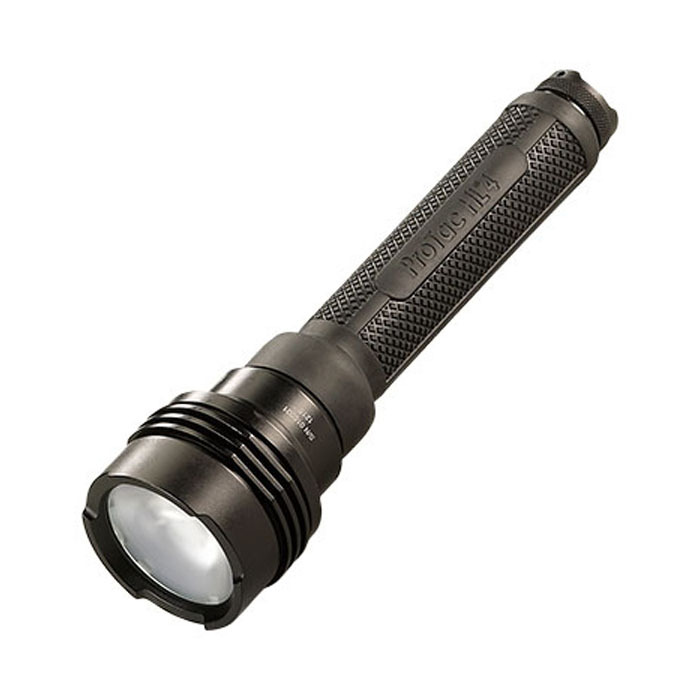 High-(2200 lumens - 1.5 hour run time), Medium-(600 lumens- 4 hour run time), Low-(60 lumens-43 hour run time). Durable, anodized aluminum construction. Able to accept CR123A or rechargeable 18650 lithium batteries. Comes with four CR123A lithium batteries.